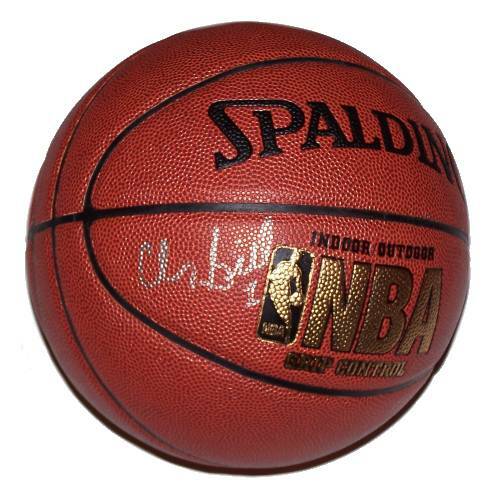 Chauncey Billups is an American professional basketball point guard for the Denver Nuggets of the NBA. He has also played for Team USA. Billups won the NBA Finals MVP in 2004, helping the Detroit Pistons beat the Los Angeles Lakers in the Finals, and was given the nickname "Mr. Big Shot" for making late-game shots with Detroit. A five-time NBA All-Star and three-time All-NBA selection, he was chosen third overall in the 1997 NBA Draft by the Boston Celtics, and has also played for the Toronto Raptors and the Minnesota Timberwolves. 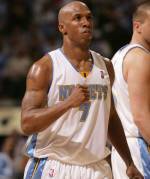 Billups played college basketball at the University of Colorado, where he was honored in 2004 as the fifth player to have his jersey (number 4) retired. ~ Wikipedia.